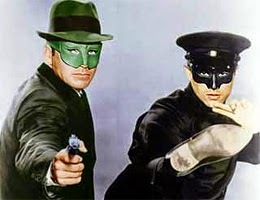 48 years ago on this date of March 3rd in the year 1967, the 24th episode of the new TV series, The Green Hornet, aired. Posted this episode to mirror the airdate from 48 years ago. Only 2 more episodes to the series after this one!! Britt finds himself on the run and trying to prove he did not kill a foe, with a gun he was holding as it fired the fatal shot. There is no "Produced by..." credit on this episode.